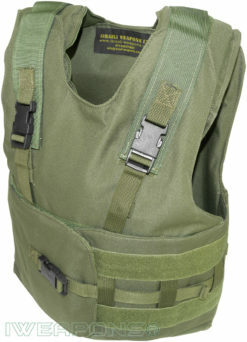 This body armor used by the Israeli infantry, these zahal bulletproof vests made with combat experience. 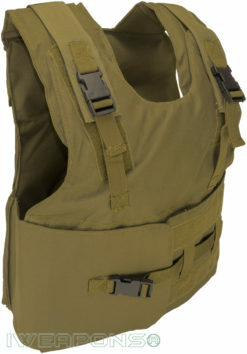 The IDF has designed these vests with unique features that make these bulletproof vests an immense asset when carrying out a military operation. 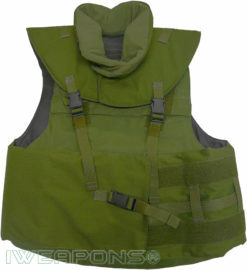 These vests have internal pockets for Hashmonai armor plates that come with level III protection, two massive single curved High-Density Polyethylene armor plates that cover a large portion of the wearer’s body. 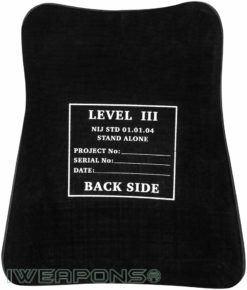 Each plate has a different shape in order to conform to the front and back of the body. 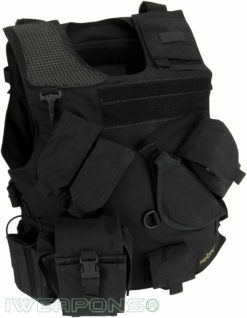 No side armor plates are necessary because these two plates provide the protection you need. 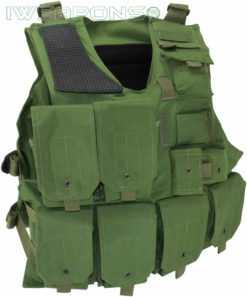 Also, no soft armor is required since the plates are fully functional on their own. 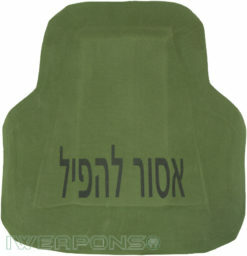 The Hashmonai plates are produced in one size so the rest of the vest needs to be universal as well. 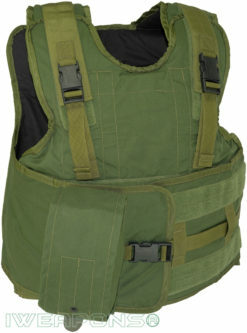 Available in only one size, these zahal bullet proof vests is guaranteed to fit. 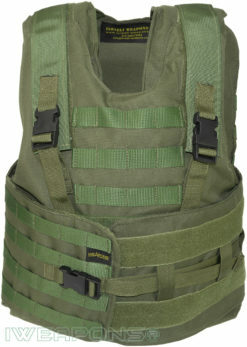 The adjustable straps that come with the vest ensure a secure fit for any soldier. 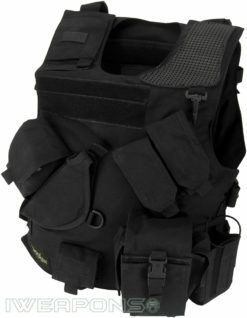 The front has two Velcro straps that have adjustable clips so the vest can properly fit to the soldier’s body. 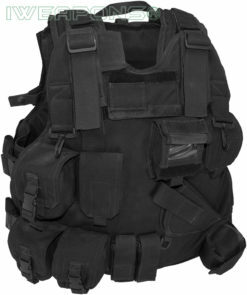 If a soldier is wounded during an operation, the vest comes with a carry handle to efficiently evacuate a soldier to safety. 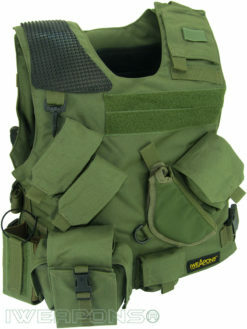 The vest is manufactured to aid a soldier at any time of a mission, and getting wounded is a possibility. 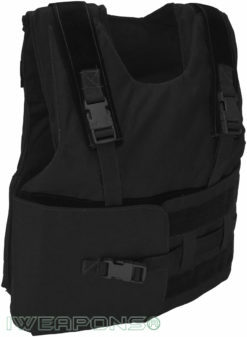 The zahal bulletproof vest is lightweight since the Hashmonai armor plates weigh a collective 6.5 kg. 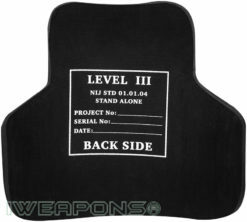 The front plate weighs 3 kg and the back plate weighs only 3.5 kg. 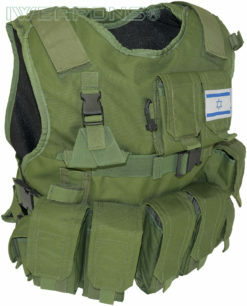 The vest comes in a olive green color, which complements the Israeli uniforms well. 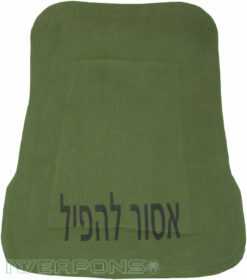 We produces these IDF hashmonai vests in two models. 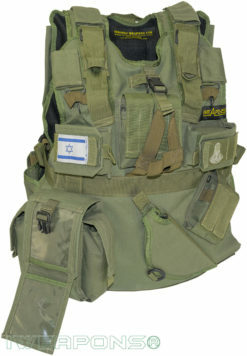 One is the standard model used by the Israeli Defense Forces, which is described above. 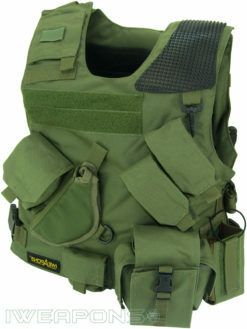 The second model is exactly like the original but has additional MOLLE on both the front and rear of the vest. 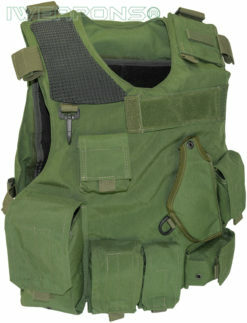 The added features make the vest more efficient on the battlefield, which is a priority for soldiers.